their feces and urine. Feral cats should be removed humanely by a feral cat control and feral cat trapper specialist. 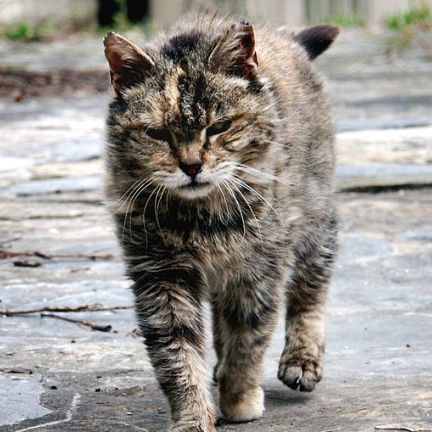 How to identify a feral cat? Feral refers to any domesticated animal type that has not had contact with humans. Responses to humans include hissing or growling, though this may change over time as contact with humans increases. carry disease through fleas and ticks that can be transmitted to humans and domesticated pets. proximity to each other. This cat disease causes skin infection and digestive issues such as diarrhea. small children is no place for a feral cat, and they must be removed immediately. important for a colony, such as porches or abandoned structures and buildings.